Move-In Ready Ranch in Washington Green Neighborhood....this home is over 1500 square feet, has 3 bedrooms and 2 full baths, a split floor plan design, a 2 car attached garage, a deck and fully fenced backyard. The master suite features a Garden tub, separate stand up shower, double bowl vanity and a large walk-in closet. 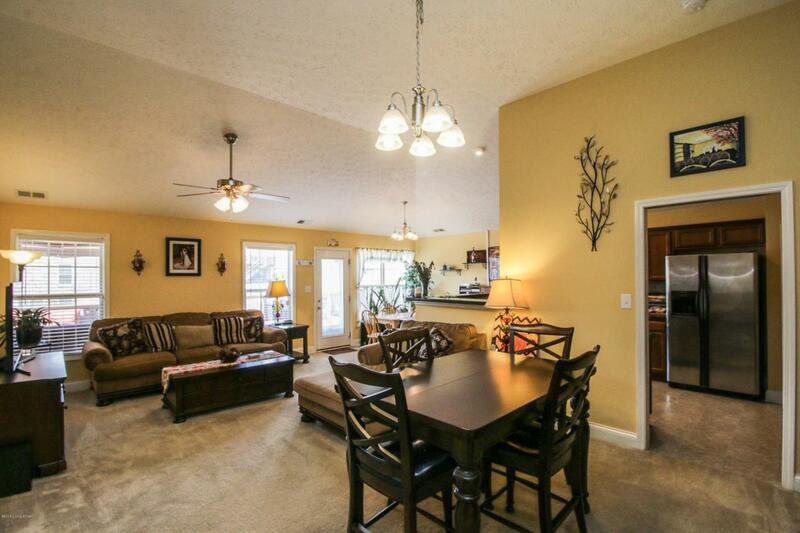 The family room with vaulted ceiling and kitchen are open and provide a great space for entertaining or just relaxing. The corner lot provides a larger than normal lot and only a neighbor on one side. Home currently has alarm system that can remain that is serviced by Life Shield. Call your agent today and schedule your private showing! !